today's polish is Fluoro Flamingo, the last of the Summer 2013 Pixi polishes (kindly provided to me for review!). it's a super bright pink creme that's not quite neon, but close! i love bright polishes, and this one is perfect to usher in the warmer weather :D the formula is really nice, two coats for full opacity (if you apply polish really thinly, it might take you three... i myself apply polish pretty thickly!). it's not streaky or chalky like some polishes in this color family can be, plus it dries shiny! i did add topcoat to aid in the drying process. 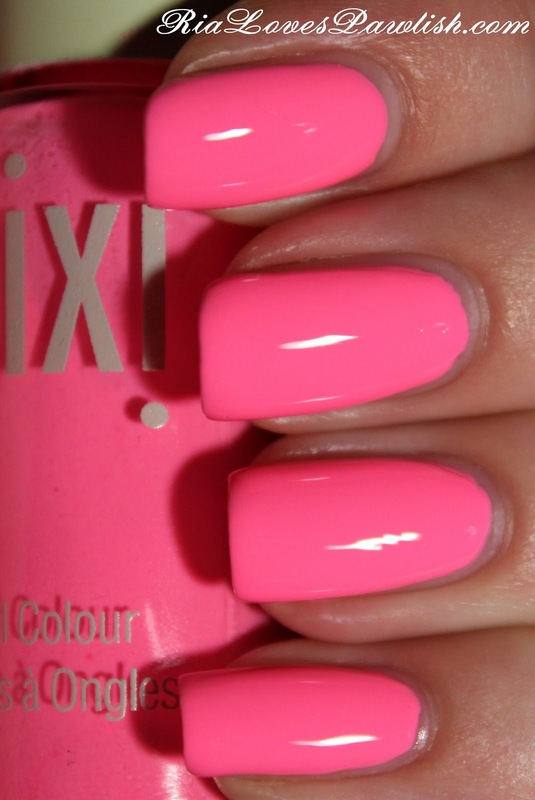 two coats Fluoro Flamingo, one coat Seche Vite. i hope you have enjoyed seeing these new offerings from Pixi, i have surely enjoyed trying them out! which of them are you considering picking up?